By Shaunna Evans 24 Comments · This content may contain affiliate links. For the letter S we explored a seed theme! 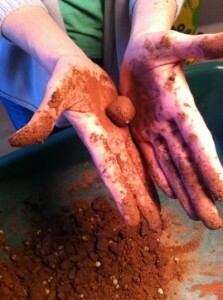 Learning about seeds for kids can be a topic to explore at many ages. 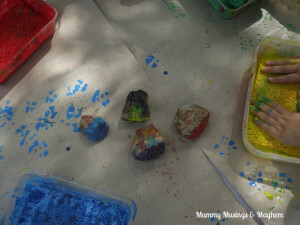 Toddlers can do a lot of sensory play and art activities with seeds. 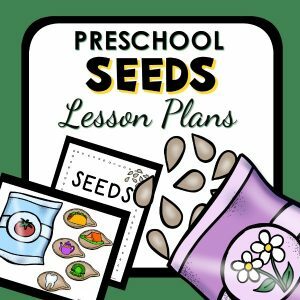 While seed activities for kindergarten and preschool can delve more into planting activities, science investigations and more. Much like our rock theme we took objects we find in our everyday lives and explored them in many new ways during our seed activities. 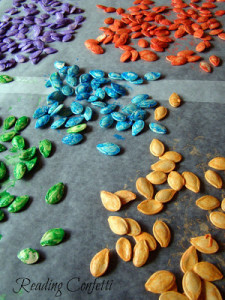 To help you start thinking of your seed theme here is a collection of some playful ways to teach young kids about seeds. 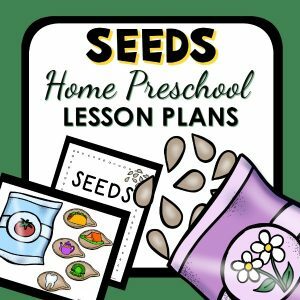 These are some of the seed activities available around the web, and they are mainly focused on teaching kids ages 2-6 about seeds in a hands-on way. 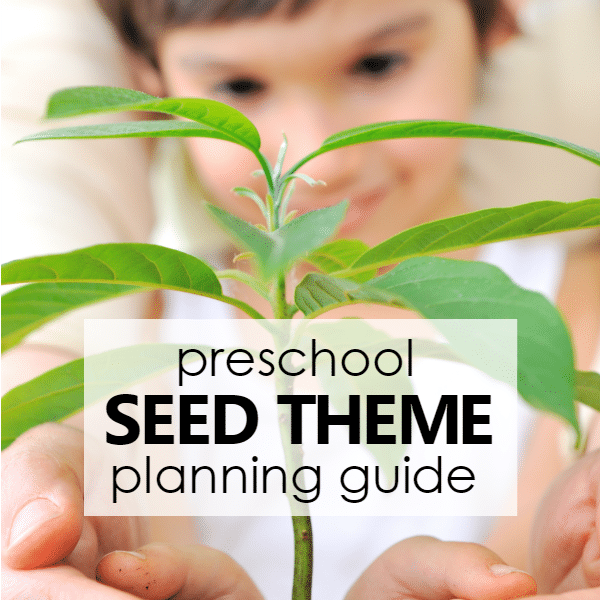 Don’t miss our full seed theme resource guide. 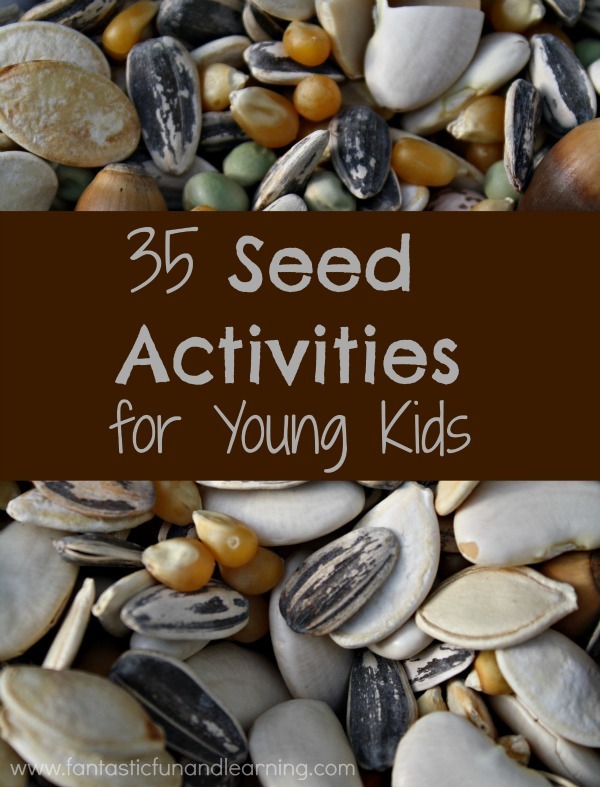 It’s full of even more seed activities for kids. 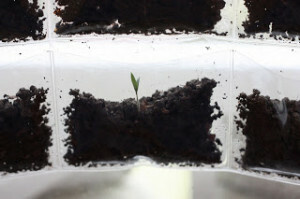 I didn’t want to include a lot about gardening with kids in general, but I thought it might be helpful to share a few different ideas for starting seeds with kids. Some of them are quite unique! Another resource I am enjoying as we are working on our S is for Seeds theme and our other spring activities is our copy of The Garden Classroom. This new book is a terrific resource for learning to create your own garden classroom no matter the size of your gardening space or your skill level. In addition to great tips about gardening with kids, there are literacy, math, science, craft, and play ideas. 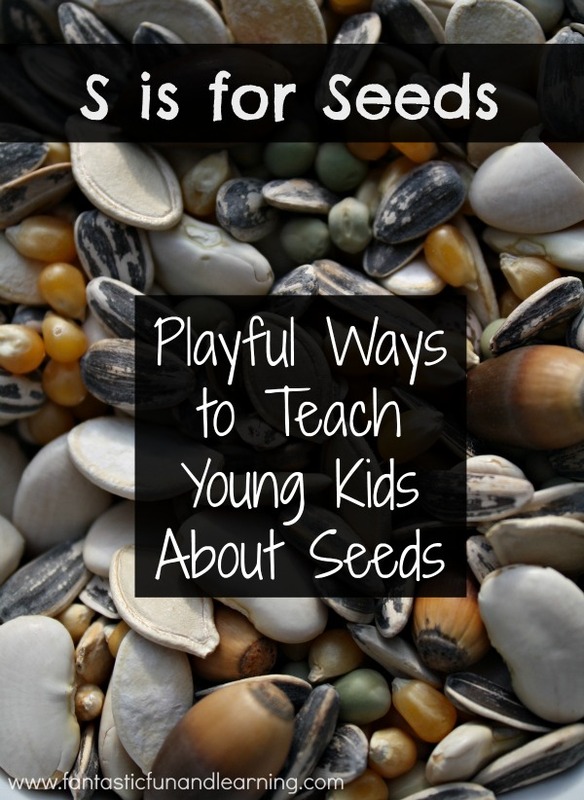 The next post in this series will include some of my preschoolers’ favorite books about seeds. While you are waiting for that post, go ahead and start collecting some seeds! Check your food. Check outdoors. 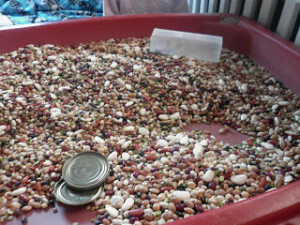 You’ll be amazed at how many seeds you can collect in a short time. 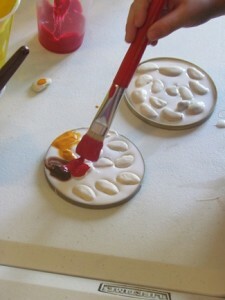 Do you have any other ideas or activities related to seeds? I would love for you to share them in the comments. Get a full week of playful seed theme ideas! 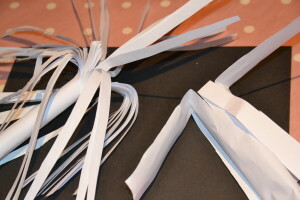 Find more ideas on my Letter S Pinterest Board. 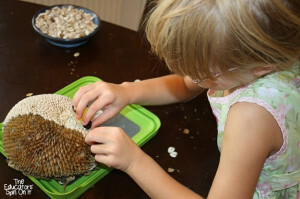 Another Idea I’m going to use with my 3 year olds is a “sponge Garden”! Soak a sponge with water, place in a shallow plastic container, sprinkle some bird seed, grass seed or alfalfa seed (all of which grow quickly and without soil) and the children can “water” it using a spray bottle give it sunlight and in a few days you have sprouts!!! Great activity! I bet they’ll love it! I’m harvesting fave bean pods from our 1st grade garden and would like to do a math lesson. I was thinking that we could count the number of seeds in each pod, then use multiplication to add up all the seeds. 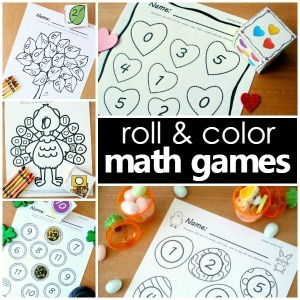 Have you done any math using seed pods? What a great hands-on math lesson! 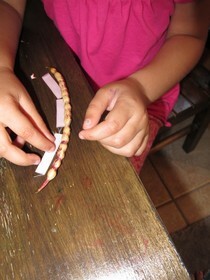 I haven’t done any math using seed pods yet…mostly because we’re still mastering the art of growing those seeds pods. 😉 I think your lesson sounds very interesting though. Will you sort the pods by number of seeds in the pod in order to do the multiplication, or will you create sets of seeds after they are removed from the pods? It would be interesting to observe how different students approached the task. What an amazing collection of ideas about seeds, Shauna! I really love the art ideas you’ve shared here. 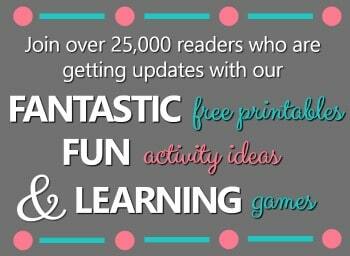 Thanks for linking up to Stress-Free Sunday with Fun-A-Day!. Thank you! I appreciate the invitation. 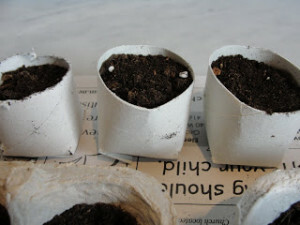 What a fab round up of seed related posts. Thank you! 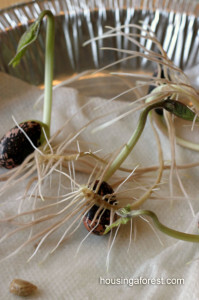 I enjoyed putting the post together…so many unique activities for learning about seeds. Thanks! It has been really interesting to take a single object and explore it in detail. The kids and I are learning so much! Love all these round-up posts Shaunna! It seems like every week I click on your linky! 🙂 I might as well just follow your blog already so I’ll go ahead and subscribe! LOL Thanks for sharing with all of us by the way! Thanks, Valerie! I really have fun putting the round-ups together…so neat to see so many different ideas come together about the same topic. And thanks for subscribing! I’ve been following your posts for a little while now, and I really enjoy your content and mini-themes. What a great resource this is! Thanks! Lots of fun ways to learn about seeds. What a great collection. Just pinned! I had a lot of fun pulling the ideas together! Thanks for pinning. Oh my what a fantastic collection of seed ideas. This could be a mini pdf give-away. I hope you’ll consider sharing this at Look What We Did, a month long link up hosted by HammockTracks. Thanks for sharing! Thanks so much! I’d love to stop by and link up….looks like you have some find ideas shared over there! Really fun list! Thanks for including our ideas! 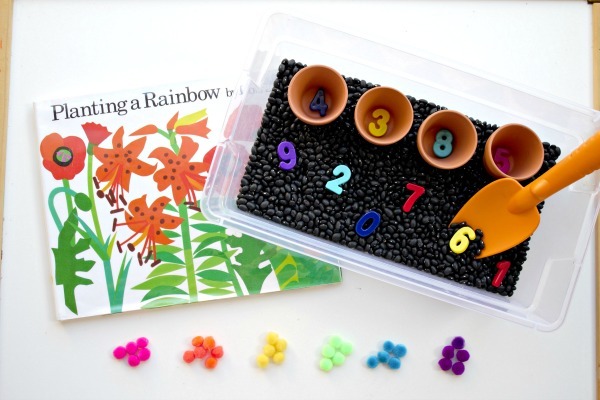 Thanks for featuring my seed catalogue rainbow activity! This us a great collection of activities to be a part of! Thank you so much for putting this collection together for kids to explore and learn from seeds. Thank you for including a few of our posts as well!